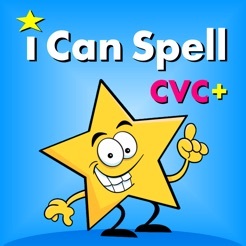 "i Can Spell with Phonics CVC+" includes 67 commonly used (sight) words with a short vowel sound. 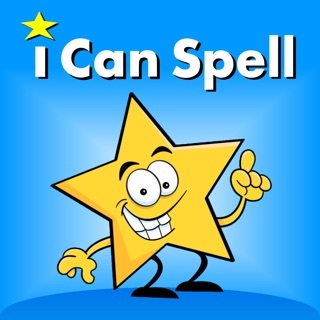 The full version of "i Can Spell with Phonics" includes an additional 83 words (total 150) including long vowel sounds and common digraphs. The two apps are otherwise very similar, with one different reward game. 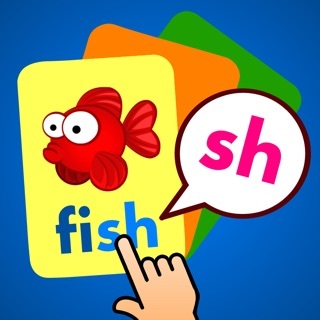 Short Vowel Sounds: a, e, i, o, u, CVC words, or CVCC/CCVC (four letter) words. Activity 3: More "phonic chunks", but this time the spelling words are in proper whole language context, with engaging sentences and vibrant photographs. Reward Game: Choose between "Match the Pairs", "Word Search", "Fish Food" and "Dinosaur Run". 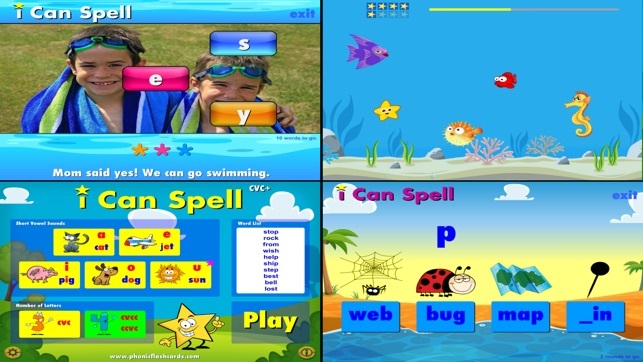 "i Can Spell with Phonics CVC+" provides explicit phonics instruction. 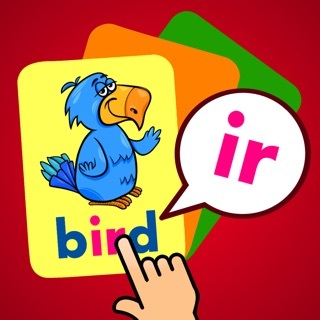 The whole word and phonics are presented at the same time, so the app will fit either a "synthetic phonics" or "balanced literacy" approach. 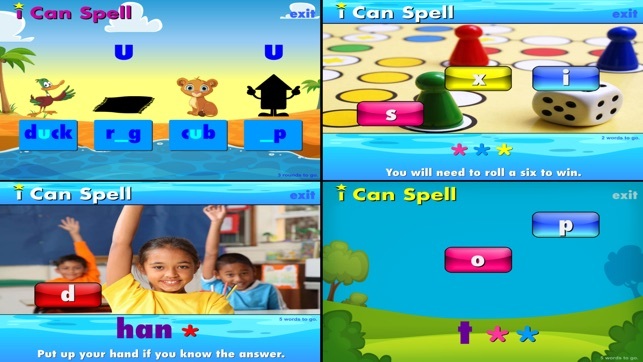 Spelling is taught through immersion and repeated exposure both visually to the correct spelling, as well as hearing and actively sounding out the words. 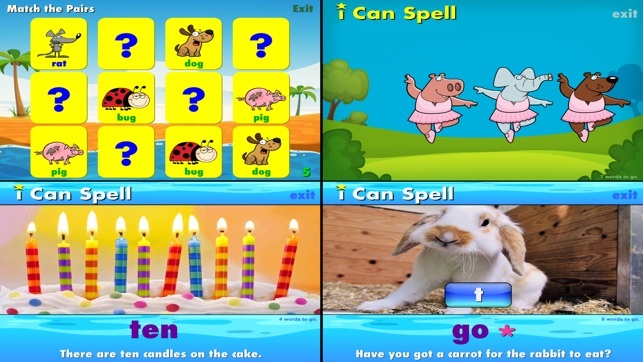 Phonics is taught explicitly, and the words are also placed in meaningful sentence context. 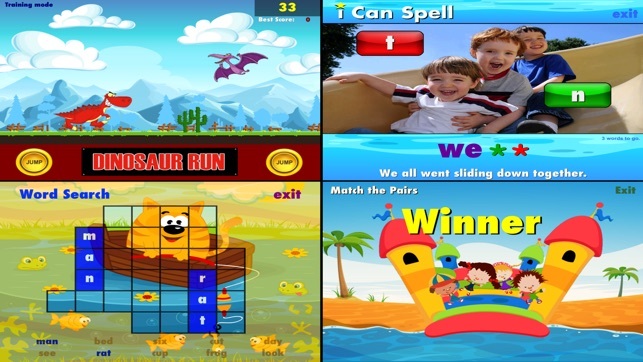 Our apps are designed to be educationally sound, easy to use, and fun to play, while also taking into consideration the needs of struggling literacy learners. 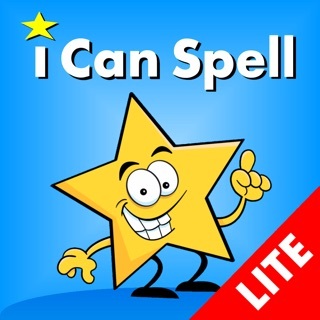 "i Can Spell with Phonics CVC+" includes 67 sight words with a short vowel sound. As well as CVC words, VC, CVCC and CCVC are also included. Digraphs: CK, SH and LL are also introduced. We use a traditional pronunciation of "w" and "y" ("wuh" and "yuh"), which if you don't like you can simply avoid the words: yes, went and wish! 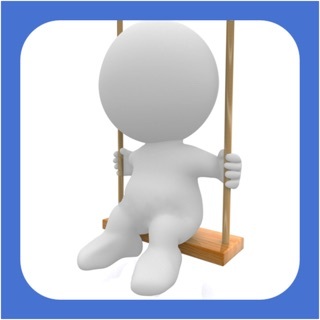 Please visit our developer website (link found at the bottom of this page) to view videos, get the app guide, and free worksheets. 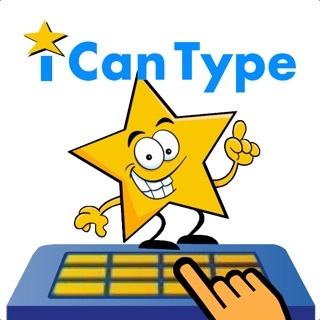 Whether you are buying this app for your four year old who has already mastered the sounds of the alphabet, or for your eight year old who still struggles to read, the iCanSpell apps will provide them with intensive phonics practice which is easy, fun and effective. 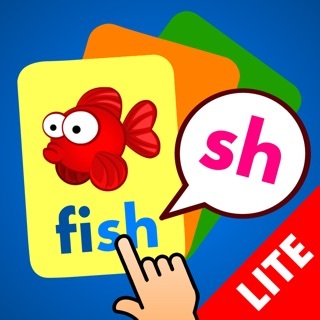 This is a great app for kids learning to read because it's more than just pure education it's also full of fun. They actually ask to play it, which makes a change from most of the other educational apps. 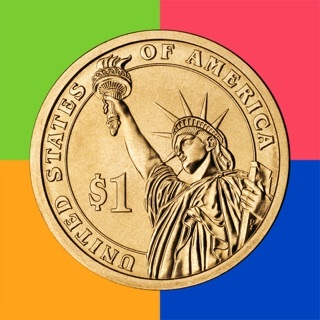 A great learning app for reading and spelling - the fun reward games keep my children playing this app over and over again. My son is getting much better at recognising and sound out words - he now points out the phonics.